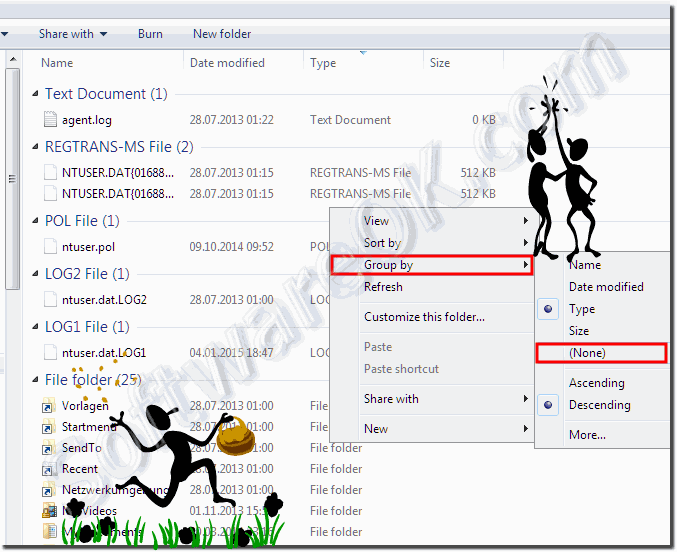 The solution is simple to turn off groups view of files and folders in Windows 7 MS-explorer! (Image-1) Windows 7 turn off groups view files and folders! Enable the administrator account in Windows 7 with full access, how to? Download Language Packs for Windows-7!